There are many ways to consume Atlantic herring. The migratory forage fish that make big seasonal splashes along North Sea coastlines are at once so abundant and so ephemeral that conserving their palatability is an art form and cultural calling card from regions that ring the sea. Everyone has a herring recipe. The Brits have the delectable sounding bloater. This east coast English way of preparing whole herring—head, guts, and all, with a light touch of salt and smoke—offers double the pleasure of any other herring recipe. With their delicately oak-flavored flesh and soft roe center, they really are delicious; not that many Brits have tasted one. Bloaters are mostly artifacts of memory. Where better to understand their past popularity and subsequent demise than the coastal community where the football team is nicknamed the Bloaters? A port city on England’s east coast, Great Yarmouth’s mighty herring fishery collapsed in 1963, taking with it fishing boats, smokehouses, and bloaters. Bloater love is mostly for display, particularly at Time and Tide Museum of Great Yarmouth Life, a converted herring processing plant with a distinctly fishy odor. A guide, Les Cole, talks me through the ages of herring history: the 12th-century launch of a herring tax, the 13th-century battle for local herring rights, and the 15th-century treaty that brought Dutch herring boats to the town. Everyone wanted a piece of North Sea herring. The origin story of the bloater’s name, however, remains vague. Many peg the recipe’s creation to the 1830s. But in 1661, the diarist Samuel Pepys headed to a tavern for “bloat herring,” and, even earlier, the playwright Ben Jonson turned the smell of bloat herrings into an insult in his early 17th-century The Masque of Augurs. Not that it matters from where and when the bloater emerged; what’s more important is that the English bloater survives through the 21st century. Traditional foods and recipes are like a daily diary, storing the routine histories of a region’s environment and culture. The academic in me is fascinated by the history, but I’m looking for something more tactile: the taste of the elusive bloater. The perfect place to sniff out bloaters is around Great Yarmouth, not far from my home. A 20-minute drive south lands me in Lowestoft, at the Anchor Smokehouse, a whitewashed building with red roof tiles squatting at the end of Katwijk Way, a street named for a Dutch town directly across the North Sea. The Anchor, which dates to 1878, is one of the few remaining old-time chimney-style smokehouses that hasn’t switched over to kilns. The business, however, is firmly rooted in the 21st century, hawking its fish over the counter and online. The Anchor sells about 100 bloaters a week. In the white coat of a proper British fishmonger, Gemma Raven—whose father bought the business over 30 years ago, before she was born—moves easily from the busy office to the retail counter to the small processing floor, which customers can watch through large windows. Properly preparing bloaters is a serious time commitment. 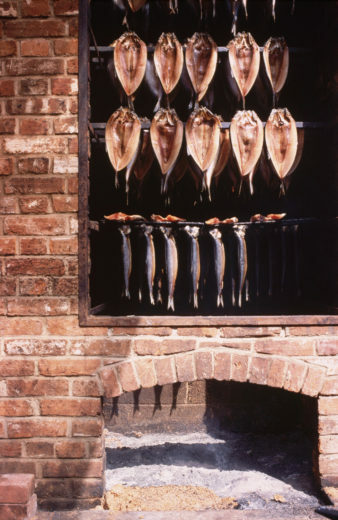 The Ravens brine the herring for six hours, light the smokehouse fires around lunchtime, and keep the fish cradled in smoke for roughly 12 hours. Finally, somebody wakes at 2 a.m. to make sure the fires are out (no one wants a dried-out bloater). Because they still use English herring, the Anchor is a rarity. But like most other smokers, the Ravens rely heavily on frozen Norwegian herring, which is a great historical irony since the Vikings who swept in from the north in the eighth century were partially attracted by the vast herring shoals off the east coast of England. “With the local herring, the season is only very short,” Raven explains. High herring season is November, when the fish’s oil content is perfect as they prepare to spawn. But once they spawn, the fish instantly thin. And a thin, roe-free fish does not a bloater make. Although, maybe that’s changing. In the opposite direction from Lowestoft, on East Anglia’s wealthier north coast, I find the near universal signs of old-school posh country—artisanal food markets and idyllic villages—and still I find bloaters. Which is exactly what I do back at home, sharing it with my eight-year-old daughter. “Mmmm” she says, after one bite. “More.” I feel a small sense of victory. 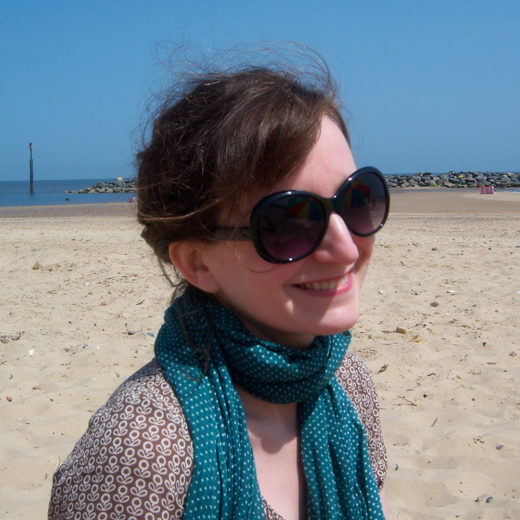 Anne Bramley’s PhD at the University of Chicago focused on food and class in early modern England. Now she’s exchanged her love of the Great Lakes for a life on the North Sea. She’s the author of Eat Feed Autumn Winter and her writing has appeared online in Saveur, Cultures and Cuisines, the Washington Post, and on National Public Radio’s, The Salt. Cite this Article: Anne Bramley “Tracking the Elusive Bloater,” Hakai Magazine, Mar 24, 2016, accessed April 21st, 2019, https://www.hakaimagazine.com/article-short/tracking-elusive-bloater/.